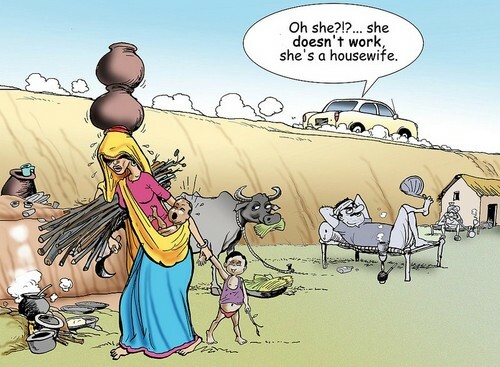 She Doesn't Work, She's A Housewife. . HD Wallpaper and background images in the Feminism club tagged: feminism women's work housewife cartoons misogyny. This Feminism photo contains নকল মানুষের, কমিক বই, কমিকস, and কার্টুন. Cultural feminism in its most basic form.